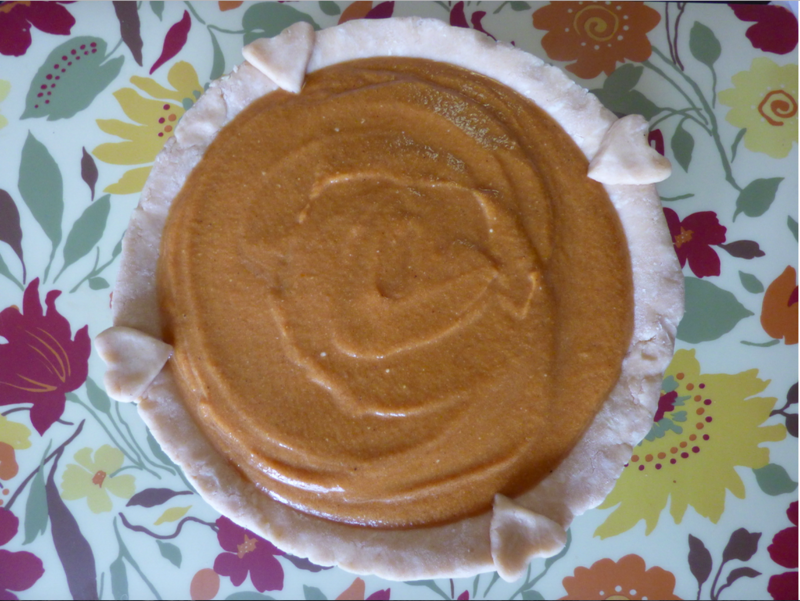 My friend Camilla introduced me to this pumpkin pie recipe when we were college roommates. She made a dairy-free, gluten-free version that was outstanding. Honestly, it changed my whole outlook on pumpkin pie. I’m thankful that I don’t have any food allergies or sensitivities. But I picked up a few tricks while living with people who do. 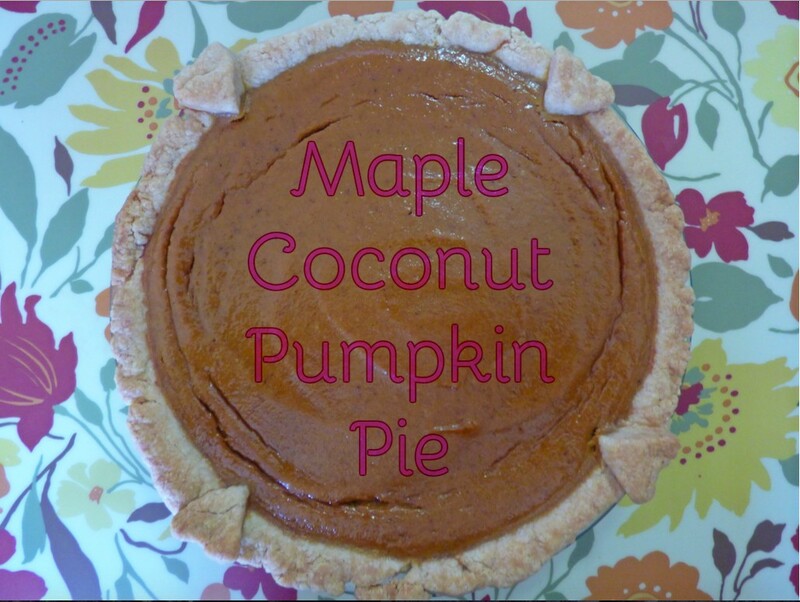 Like this Maple Coconut Pumpkin Pie. 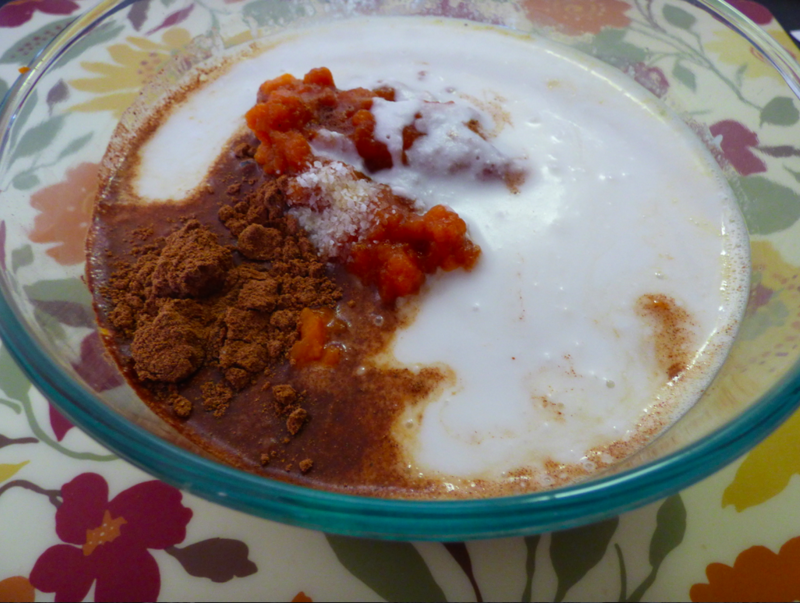 Combining pumpkin with coconut milk and maple syrup takes this recipe up multiple notches. In The Skinny on Skin Care I talk about why coconut is so beneficial for your skin. (Tip: eating coconut also nourishes your skin from the inside). 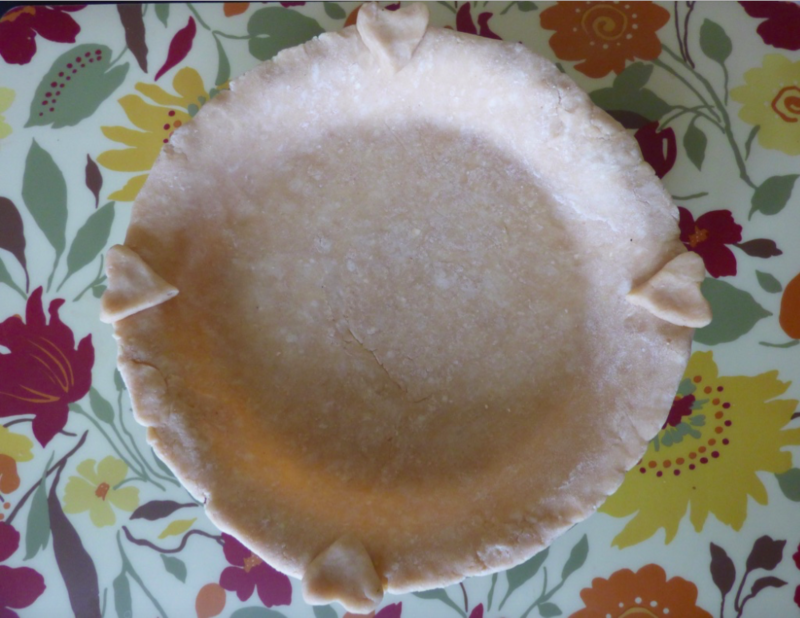 One 9-inch unbaked pie crust (I use a variation of this recipe: All Butter Pie Crust). In a medium bowl, whisk three eggs until well combined. 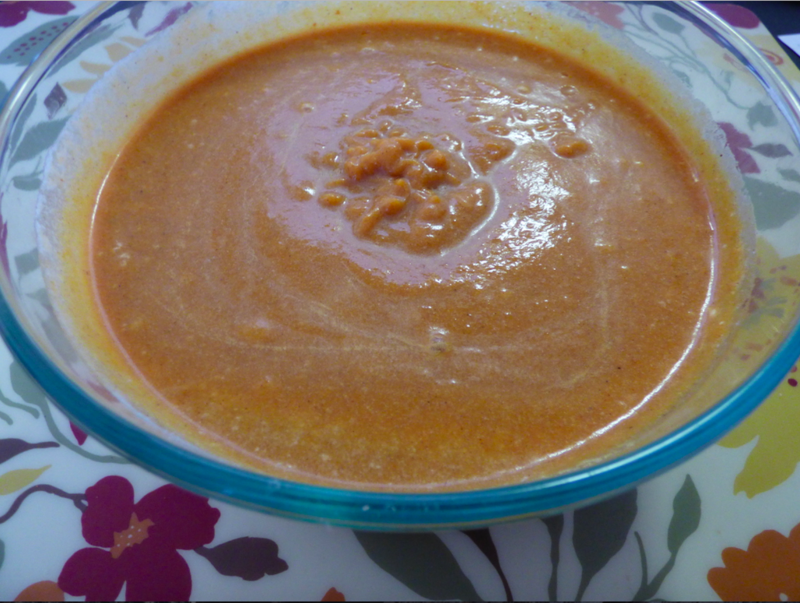 Add pumpkin puree, coconut milk, maple syrup, vanilla, pumpkin pie spice and salt. Combine filling using an immersion blender. 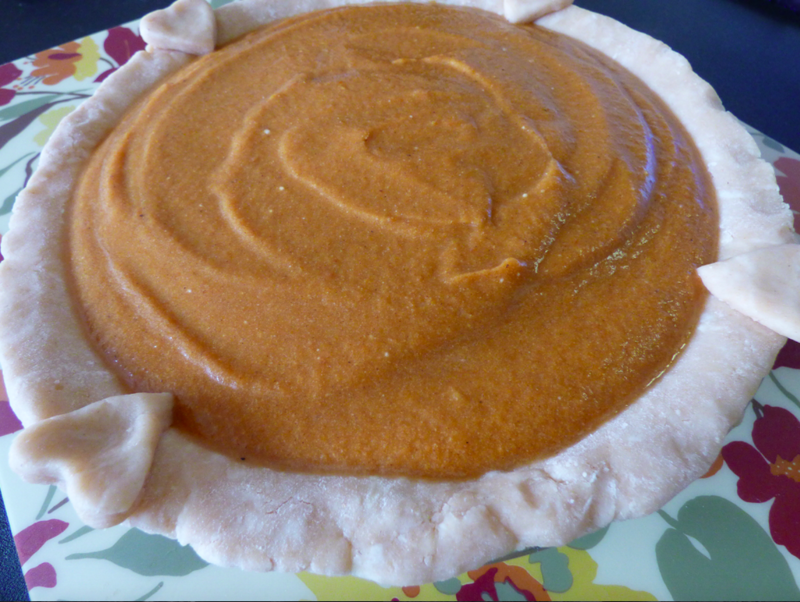 Roll pie dough into a 13″ circle and transfer to a 9-inch pie plate. Pour filling into the unbaked pie shell. Bake for 15 minutes, then reduce heat to 350 degrees. Bake for an additional 30-40 minutes, or until a knife blade inserted 1 inch from the edge comes out clean. Optional: Top with sweetened whipped cream or coconut whipped cream.